There are a lot of lousy eyelash glue around and sometimes we need to spend a lot and try out different brands just to find a good and suitable one. This is why recommendations are always good! I usually buy mine from this ulu shop in Bugis Street. I no longer just buy it from anywhere. Sometimes BRAND-X works awesome when I buy from a random shop, but when I buy the same brand from another shop, it is diluted. Very confusing! Better to just stick to a supplier, like online websites. 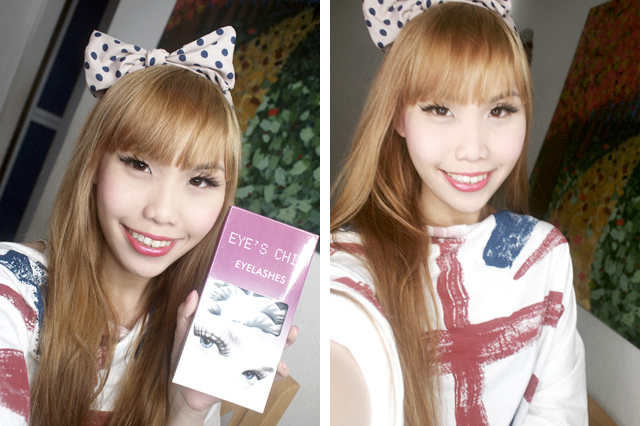 I recently tried this eyelash fixer from Blink.sg, and I like it! 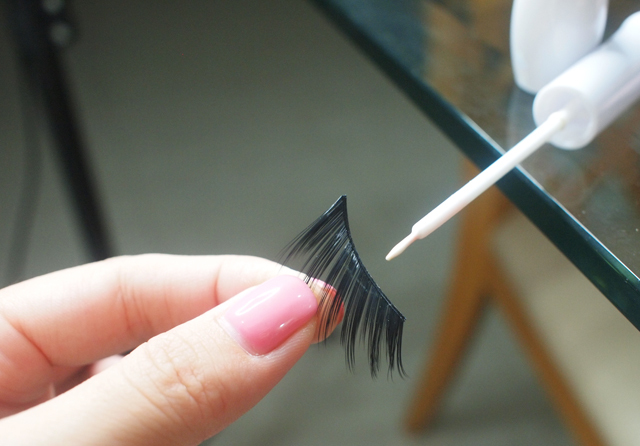 The brush attached to the cap makes it easy to apply the glue on the thin rim of a faux eyelash. 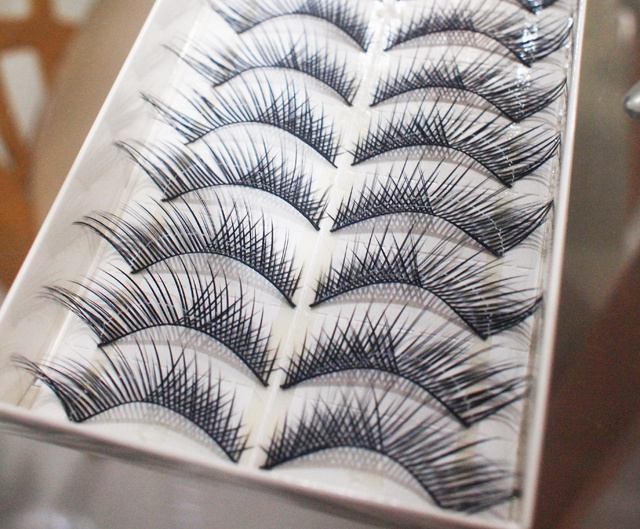 I also attempted some dramatic faux lashes available on their site. This one below is 816. I quite like the effect against my eyeshadow color! What do you think? Then, I tried 464. Love how it perks up the eyes because of the long and slant edges! I think it is very suitable for people with droopy eyes. The thing I love about Blink.sg? Their prompt replies and awesome attitude! Check out the awesome reviews on their site too!